The seed was planted for the Rudess/Morgenstein Project one evening at a sold out Dixie Dregs performance in Fort Lauderdale, Florida. In the middle of the set, a power failure shut down the guitar, bass and violin rigs leaving only the keyboards and drums unaffected. Disaster seemed imminent. What followed instead was a blistering, ten minute drum/keyboard power-duo jam which brought down the house. 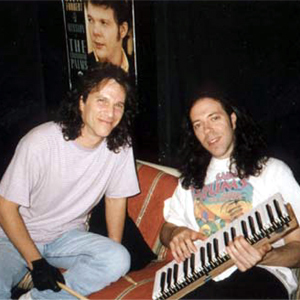 This event marked the beginning of a unique musical collaboration between keyboard virtuoso Jordan Rudess and drumming legend Rod Morgenstein.